Use the tabs below to view the most common types of knee Injury. A tear or rupture of the ACL deep within the knee joint. The cruciate ligaments cross over front to back in the knee joint and can be injured by twisting or from impact in contact sports. A tear of one of the rings of cartilage within the knee joint. The cartilage meniscus provide cushioning and support to the knee joint. The medial meniscus on the inside of the knee joint is often injured when the medial ligement is torn. A tear or rupture of the MCL on the inner side of the knee joint. Symptoms include pain on the inside of the knee along the joint line often resulting from an impact on the outside of the knee. Excess movement of the knee cap causing pain and inflammation. Symptoms include pain or aching under or around the knee cap, often the result of over use or poor knee biomechanics. Also known as prepatella bursitis, an inflammatory condition of the bursa often caused by pressure or kneeling. A bursa is a small sac of fluid which lubricates a joint between the bone and the tendon. Also called patella tendonitis, causing pain in the tendon below the knee cap. This is an overuse knee injury causing inflammation or degeneration of the patella tendon or ligament which connects the knee cap to the shin bone. An enlarged cyst or swelling at the back of the knee joint causing pain behind the knee. A Bakers Cyst may have many causes and to cure the problem the original cause should be found. 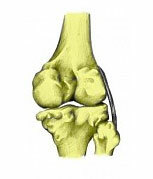 A tear or rupture of the PCL, deep within the knee joint. This is an important ligament for stabilizing the knee joint and prevents the joint from bending back the wrong way. PCL injury is usually caused be an impact to the front of the leg injuring the knee ligament. An overuse injury causing pain on the outer back knee. The biceps femoris tendon is one of the hamstring tendons. It can become inflammed as it inserts into the back of the knee joint. A tear of the inner ring of cartilage within the knee joint. The cartilage menisus provide support and cushioning to the knee joint. There are a number of different types of tear which may require surgery. A tear or rupture of the MCL on the inner knee joint is usually caused by an impact to the outside of the knee. More severe injuries may involve damage to the cartilage meniscus causing pain on the inside of the knee joint. 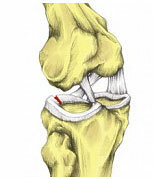 Inflammation of a synovial fold found along the inside border of the knee cap is one of the less common knee injuries. The knee joint is surrounded by a capsule which contains synovial fluid. This fluid acts as a lubricant for the joint. A tear of the outer ring of cartilage within the knee joint. The cartilage meniscus provide cushioning and support to the knee joint. Pain is felt on the outside of the knee joint and often worse when squatting. An overuse injury also known as runners knee. Pain is felt out the outside of the knee joint which may come on gradually during a run. The pain goes after a period of rest only to return again when running starts. 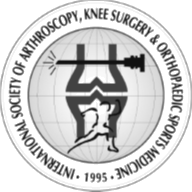 A tear or rupture of the LCL on the outer side of the knee. The lateral knee ligament provides support to the knee joint. It may be injured by an impact to inside of the joint causing knee pain on the outside where the ligament is torn. This overview of knee injuries is intended to provide general information only and are not a substitute for medical advice about your particular condition.